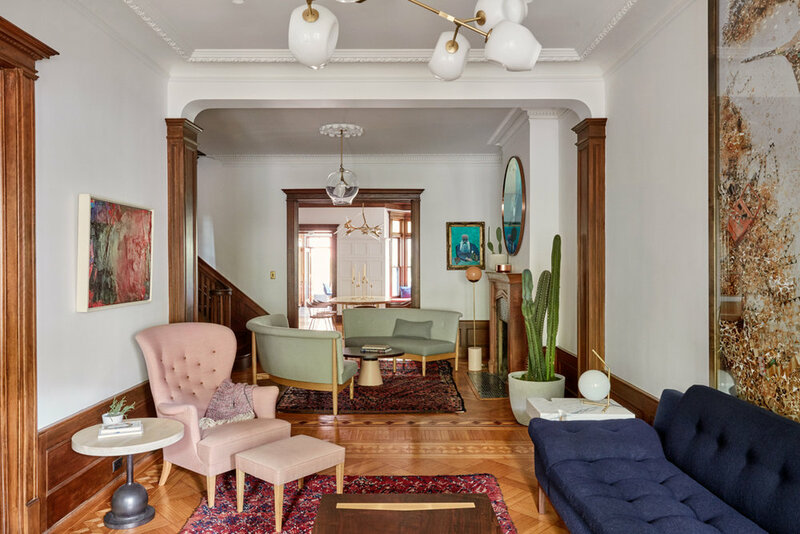 This project was a careful restoration and remodel of an historic 1901 Park Slope Limestone house in Brooklyn, New York. 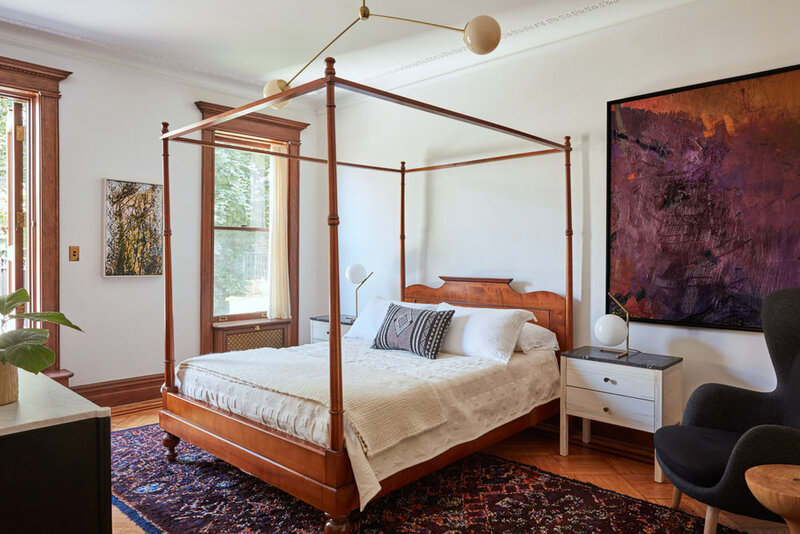 The clients purchased the home almost entirely in its original state with all the original inlay wood floors, plaster crown moldings, and ornate woodwork throughout preserved beautifully. We protected every bit of original detailing that we could while significantly renovating the kitchen, bathrooms, library and office and kid’s play space and refurbishing the home throughout. Our approach when designing for this house was to blend old and new architecture seamlessly so the new felt as though it could have always been there. We designed custom leaded glass cabinet doors and skylights, mosaic tile patterns in each bathroom, delft-inspired tile in the kitchen, and several furniture pieces throughout. The clients had a love for modern art in all its forms and we had a lot of fun marrying the historic space with bold, modern furniture & lighting in playful colors and finishes. 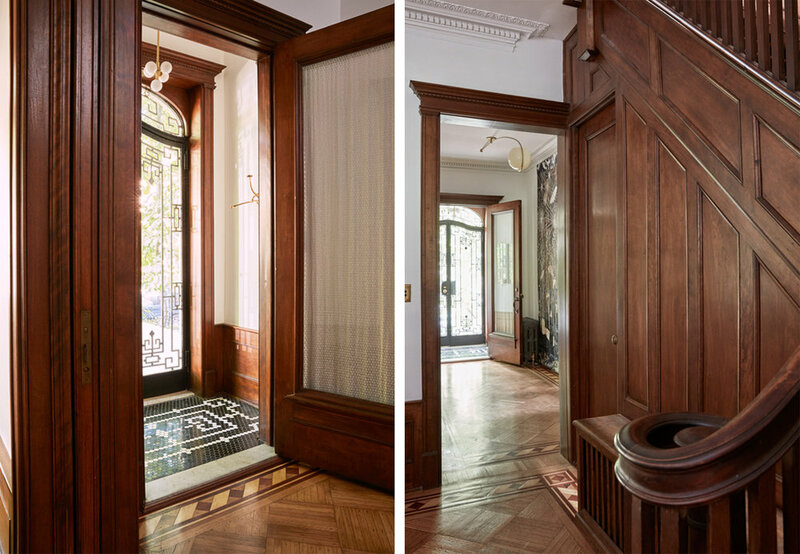 The senior designer for the Park Slope Limestone project was Chelsie Lee and the local architects were CWB Architects.